Kingdom Come: Deliverance is officially out on February 13, 2018, but early PS4 players on Resetera have reported that the game downloads a 23GB patch when you insert the disc. The patch is live in all regions and on all platforms and seems to not only tweak and balance existing features, but add several new ones as well. 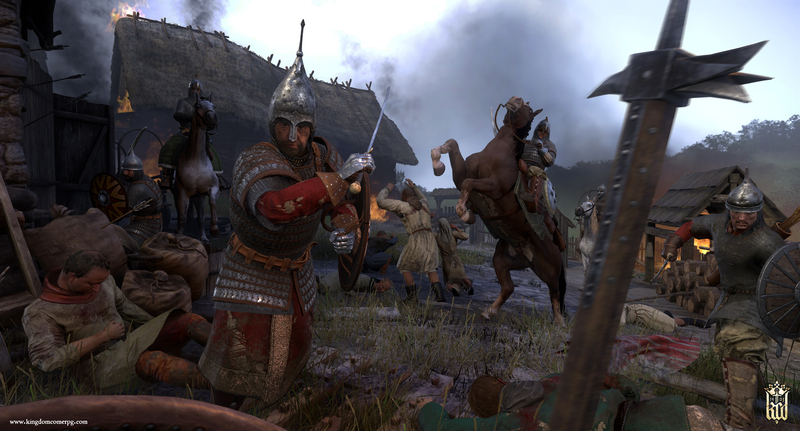 Will Powers, senior marketing and PR manager for Deep Silver, who’re publishing Kingdom Come: Deliverance, replied to the thread stating that the patch was the result of “at least” six weeks work by Warhorse Studios to further polish the game after they’d submitted the final on-disc build. “The way that I’ve been told that the engine works, is it takes the entire game and separates the PKG or ISO into 2GB archives. If during a patch you so much as alter a 1KB text file within any of these 2GB archives, then you need to reupload the ENTIRE 2GB portion. We were interested to see how Kingdom Come Deliverance would fare after it was delayed multiple times. Our own Alex Donaldson thought what he played out the game was “refreshingly interesting and different” – but a full review is forthcoming.